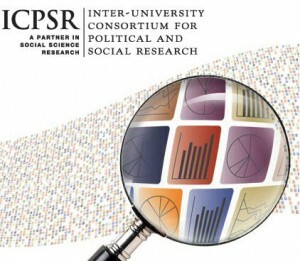 Falvey Memorial Library :: Join the ICPSR Biennial Meeting online next week! Join the ICPSR Biennial Meeting online next week! The Biennial ICPSR Meeting will take place next week from Monday Oct. 5 to Friday Oct. 9. Please take a look at the program. This year’s meeting will be completely online, which means that you will be able to follow live presentations, ask questions and join online discussions from your office. No pre-registration is necessary. Log in via the Webinar Session Links in the program to join the online meeting at the time indicated. Oct. 6, 10:30 a.m. – 11:00 a.m.
ICPSR Web managers will be present for a live chat/demo of the newly released ICPSR Web site (a prerecorded orientation will also be available for viewing). Oct. 6, 12:00 p.m. – 1:00 p.m. This session will focus on the theoretical concerns and practical issues involved in using visual displays for quantitative information. We will discuss ways to, quite literally, look at your data. Oct. 6, 1:00 p.m. – 2:00 p.m.
ICPSR provides an increasing number of tools that support data analysis. This session will provide an overview of them, including: variable-level searching, the sample characteristics tool, the recode syntax tool, subsetting tools, Quick Tables, the Bibliography of Data-related Literature, and data mapping tools. Oct. 7, 11:00 a.m. – 12:00 p.m. Discussion of new Census products and information on Census 2010 and the ACS. Oct. 7, 12:00 p.m. – 1:00 p.m. In this session, we will describe access to and analysis of the Longitudinal Study of Adolescent Health. The session will include a description of how to use the new restricted use contract system to acquire the 33 restricted use files and the public use files. Oct. 8, 11:00 a.m. – 1:00 p.m. This session aims to give instructors helpful hints for using data in teaching. Panelists will include social science faculty who actively use data-based activities in a wide range of courses. They will give participants a brief overview of what they do with their own students and the effects they see from these exercises, followed by a time for interaction among participants and presenters for sharing questions and ideas. Everything from tips for choosing a dataset or topic to creating and evaluating an exercise is fair game for this session. Oct. 9, 11:00 a.m. – 12:00 p.m. The objective of this session is to provide participants with hands-on experience to inform them of, or broaden their knowledge of, the chief online data analysis tool used at ICPSR, Survey Documentation and Analysis (SDA). Recent features of SDA include corrections to standard errors produced for studies with complex sampling designs. This session will provide an overview of the analysis programs offered by SDA and demonstrate some of the analyses that can be run using SDA, including highlights of the new features. Oct. 9, 12:00 p.m. – 2:00 p.m. In addition to working on efforts to help instructors more easily bring data into their courses, ICPSR is involved in a project to assess the educational impact of such exercises on students’ quantitative literacy (QL) skills. This session will provide a discussion of what QL means, an overview of related student learning outcomes, and examples of assessment techniques. Panelists will include experts on QL and faculty who have designed and implemented assessment strategies to measure QL in their courses.